Cronica TV used the headline "Apu arrives" as the Indian PM's plane touched down for the G20 summit. Some say the portrayal of the Indian shopkeeper is racist. Social media users responded angrily to the use of the image. Apu Nahasapeemapetilon has been part of the animation series since 1990 and is voiced by Hank Azaria, a white actor, who puts on a heavy Indian accent. Indian-American comic Hari Kondabolu made a documentary about the character in 2017, arguing that Apu was founded on racial stereotypes. Do you know how racist Indians are? Here in India, We discriminate against people on the basis of their race, religion , caste , language , region etc. The people who are protesting are mostly right wing hindus who commit atrocities on dalits (ex-untouchables) in India. Just ignore them. Argentina is a perfect kind of Sithole . I never said it was, in case you weren't reading closely, and I also do not approve of it. All I'm saying is that it's not a serious news channel, and it's not the first time they've messed up like this. Think of Cronica as the equivalent of The Sun or any kind of similar news outlet. Your new channel is just insulting your country . But when you are in politics, you need tough skin. There are so many cartoons making fun of many politicians. Be offended, have a drink, go to bed, tomorrow is a new day. 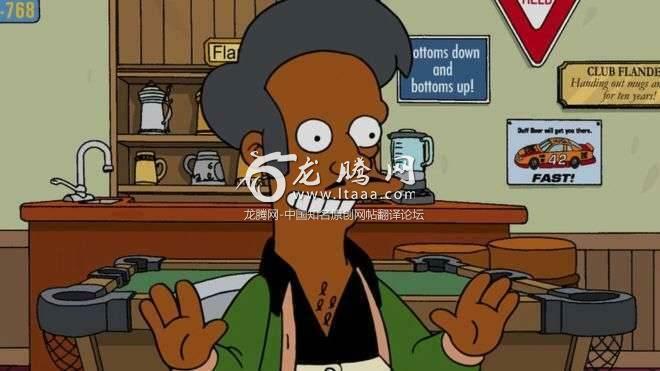 My opinion is that the character Apu isn't racist, but it is perhaps disrespectful to use it for a head of State. These head of states are public servants and are in that position because people voted them and as a freedom of speech and expression we gave all the right to criticize them and make fun of them. Cronica is known in the country for their satiric/humoristic headlines, so nobody takes it too seriously over here. No wonder my Mexican/Brazilian friends call Argentinians "south american Nazis"
Most latin country's dont see racism with the same eye as English speaking countries lol. They still have freedom of sense of humour. Every character in a book, play, movie or TV show is based on the writers stereotypical view of that character. With 7+ Billion people on the Earth we are all stereotypes in one way or another. When somebody can't stop the unstoppable growth of a nation growing at rocket speed , this kind of cheap media show off is done to feel superior falsely !! Did anyone ask what the Indian PM thought about it? Maybe he thought it was funny. In Britain they* floated a giant balloon of US President T as a bawling baby when he arrived in UK... was it offensive?? Was it satire?? this was not a statement of the Argentinian government (which would be incredibly disrespectful) but issued by an agent of the press. How about some deference to freedom of speech? That's an argentinian yellow press cable TV network. This incident is not easy to explain, to those unfamiliar with that media outlet particular style. It was painly embarrasing to watch as an argentinian, understandably shocking to foreigners. No one cares. Atleast the sane minded Indians. Pakistani : Why are we not a member of the G-20 summit ? The Argentinian Delegation was at the place in time. The problem was there was a wrong order to approach to receive Mr. Macron. The vicepresident was waiting but someone told her to move but was late. Mr. Macron was off the plane and almost getting into the car. Before become PM, he was banned to enter into US for several years. Don't know why he was elected and reached to the office of PM! !